This month, while even more hurricanes brewed over the Atlantic Ocean, two deadly earthquakes hit Mexico. On September 8, an 8.4 magnitude earthquake hit the country’s west coast, killing almost 60 people and generating a minor tsunami. This was followed last Tuesday by a 7.1 magnitude quake that devastated Mexico City, killing at least 326 people. It is significant that two Rabbis have connected the increasing natural disasters with end times prophecies. Rabbi Matityahu Glazerson, a Bible codes expert, believes he found the cause of this recent seismic outbreak. In a video published after the first Mexican earthquake, Rabbi Glazerson, using special software, searched for hidden messages within the Bible that would explain current events. The results corresponded to a remarkably appropriate verse relating to the revolt led by Korach described in the Book of Numbers. Attached to this verse, he found a code of the word ‘Mexico’ with the Hebrew words ‘rash’ (shaking) and ‘adamah’ (ground). Also attached to this grouping were the words ‘kavod Hashem’ (honour of God). The rabbi noted that the earthquakes today are related to Korach, who was swallowed up by by the earth. The rabbi warned that the sin of Korach is being repeated today on an international scale. The rabbi warned that this clearly means that the days preceding the Messiah will necessarily be filled with earthquakes. The rabbi’s warnings seem well-founded, as hints of a similar disaster were felt in the U.S. last week when a 3.6 magnitude earthquake hit near Los Angeles. On Sunday, over a period of 24 hours, 28 minor tremors ranging from 1.5-2.6 hit Tuolumne City, in central California. 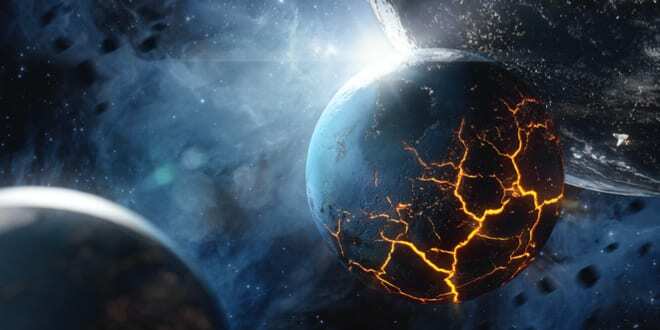 Seismic activity around the globe is increasing at an alarming rate. The quakes in Mexico are not isolated incidents, since Mexico is part of the Pacific Ring of Fire, a tectonically active region surrounding the Pacific Ocean accounting for nearly 90 percent of the seismic activity on the planet. In fact, other sections of the Ring of Fire have been unusually active recently. Two powerful earthquakes were reported to have struck New Zealand on Wednesday, while Japan had flashbacks of a national disaster when seismic activity began off the coast east of Fukushima early on Thursday morning. In total, there have been ten major quakes of 4.9 or more recorded around the Pacific in the last week alone. The danger was made even more emphatically clear when the Monaro Voui volcano erupted violently on Tuesday, leading to the evacuation of the entire island of Ambae, part of the South Pacific nation of Vanuatu. On Monday, 50,000 people were evacuated from Bali, Indonesia as seismologists warned that Mount Agung was about to erupt. Earthquakes are indeed a source of alarm, but they are only one of the many forms of natural disaster that have struck in recent weeks. Last month, millions of acres of forests in the Northwest U.S. were destroyed in raging wildfires. Yellowstone, one of the most troubling seismic hotspots on the planet, is having one of the most active years ever with over 2,300 tremors since June. 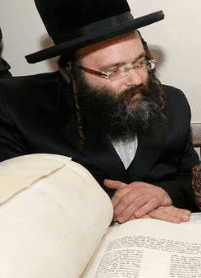 Like Rabbi Glazerson, Rabbi Yosef Berger, rabbi of King David’s Tomb at Mount Zion, understands the natural disasters as part of the Messianic process. Rabbi Berger explained that all of the natural disasters, earthshaking and ocean-born, are intended to bring about one specific result: the ultimate redemption.